Looking for that perfect Christmas gift for December? We made Christmas more exciting for all Filipinos as we make our Maagang Pamasko Sale even bigger with new and more products to choose from! 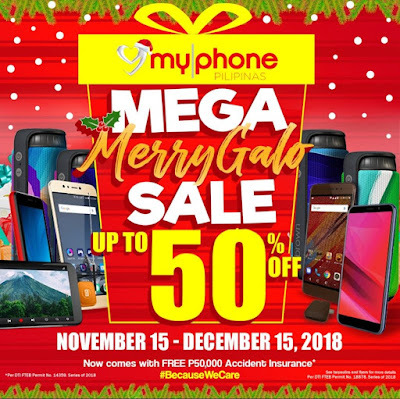 So, stop by any MyPhone shops for MyPhone’s MEGA MERRYGALO SALE! Expect selected items to be up to 50% off starting November 15. Our 4G phones feature the fastest way for you to access your mobile data and they can be yours (or your loved ones’) at a discount! ● Brown1, a good starter 4G phone, is now made more affordable for only PHP2,999 from its former price of PHP5,500. ● Super D1 is built for the Virtual Reality experience. With its CPU containing SuperD VR Graphics, you can now be immersed in the world you’re playing in! It will be available in the sale for PHP5,999! ● MyX8 is the first of the MyX series. It has an 18:9 eXtended display good for movies or making the most of reading through social media… Totally the right X for you! It can now be bought at PHP3,999! And speaking of eXtended display, we also have MyX1! Have it as a present at just PHP2,599! But wait there's more! We’re making your holiday season even more eXciting! Hooray as we’ve added more choices on our X series. Save P500 when you buy myX2, you can now have it for just P2,999 plus you get a FREE Jelly Case. MyX3, a stylish phone, comes with options of colorful back cases! Get it for sale now for just P3,299 vs it’s original price of P3,599. The new MyX5 will also debut on a discounted price this Christmas, It’s a perfect Christmas present for just P2,999. 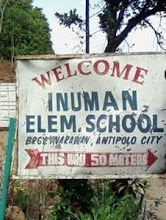 That’s a PHP300 saving. Meanwhile, MyA1 and MyA2, our budget-friend quad-core android phones, are both made even more affordable at PHP200 off! Get them for PHP1,499 each! For budget-friendly options, we made the Android GO series that will make the most of your holiday budget! These entry-level phones are made to go faster because they’re loaded with Android Oreo - GO edition. MyA11, is PHP200 off! Snag one for PHP1,699! And because we want your Christmas to become even merrier, we’ve added more choices of Android GO models so you could have more options on what to give to your loved ones. Do your kids find coloring books and flashcards “boring” or “baduy”? Why not put a hi-tech twist to it? On November 15, we’re debuting the first of our products under My First My Phone: KidsARUs! Use your phone and our app to bring drawings to life using Augmented Reality: the same technology that’s used by Pokemon Go! Point your phone’s camera to any of the KidsARUs flashcards or coloring book pages and watch as the drawings move and make sounds! Learn more than what you see by listening to a fact about it in English… Or Mandarin! *Package includes four sets of flashcards, two coloring books, an instruction manual, and a QR activation code good for up to three devices. This package is compatible with both Android and Apple smartphones. Please go to ARMagic Play Store or App Store page for more compatibility details. Have the first newly-designed MyPhone power banks in two designs! The MyPhone polymer and aluminum power banks both feature a 10,000 mAh battery suitable for the long travel on the holidays ahead. Get one of each for PHP999 (aluminum) and PHP699 (polymer). Not only phones but also our special products will be on sale! ● The Brown Bluetooth Speaker’s design is inspired by the beautiful sceneries of our country. 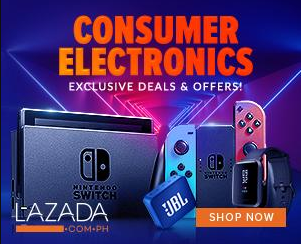 It’s on a 50% sale for PHP1,999! Choose from four designs. ● Watch DTV… on your phone! Both MyPhone and Brown dongles are on sale for PHP499 each. Any phone you buy from us comes with a FREE ACCIDENTAL DEATH INSURANCE! This is our thank-you gift for everyone who’s been with us for 11 strong years. Any smartphones get you PHP50,000 worth of insurance while our basic phones grant PHP25,000. Just insert your sim and activate your phone! This promo is up until December 31 only so come on over and get the best holiday gift combo for your loved ones this Christmas! This has been a partnership with 1CISP, one of the local leading insurance providers. Got any concerns with your MyPhone products? We are always open with our newest Customer Support, MyRo. With our very own chatbot, it makes more convenient to reach us by just a single click from MyPhone’s Facebook Page. This is just a start of the many surprises you’ll get from MyPhone! Old and new MyPhone users can also win on our daily raffle and win up to PHP100,000 cash on the grand draw! So make sure you keep your MyPhone’s alive and STAY TUNED for more announcements!